[Shanghai, China, October 10, 2018] The third annual HUAWEI CONNECT, a global event for the ICT industry, opened today at the Shanghai World Expo Exhibition and Convention Centre. Themed "Activate Intelligence, this year's event focuses on AI: its challenges, opportunities, innovations, and practices. Huawei predicts that by 2025, the world will see upwards of 40 billion personal smart devices, and 90% of device users will have a smart digital assistant. Data utilisation will reach 86% and AI services will be readily available, as prevalent as the air we breathe. According to Huawei, AI has become a new general purpose technology and will change all industries and organisations on earth. 3. Develop an open ecosystem and talent: Collabourate widely with global academia, industries, and partners. 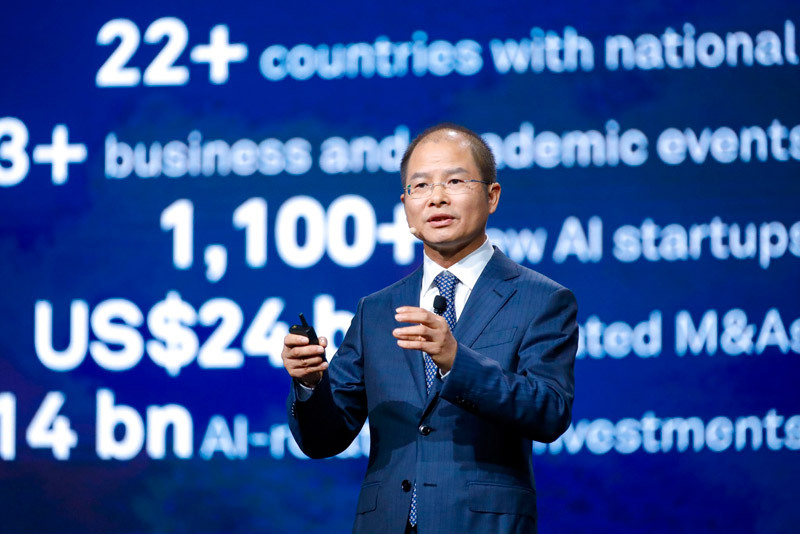 As part of its full-stack AI portfolio, Huawei today unveiled the Ascend AI IP and chip series, the world’s first AI IP and chip series that natively serves all scenarios, providing optimal TeraOPS per watt. The Ascend series delivers excellent performance per watt in every scenario, whether it’s minimum energy consumption or maximum computing power in data centres. Their unified architecture also makes it easy to deploy, migrate, and interconnect AI applications across different scenarios. Providing inclusive AI is one of Huawei’s core goals in developing a comprehensive AI strategy and full-stack, all-scenario AI portfolio. Huawei is ready to work with all stakeholders to turn AI into a practical reality, making it inclusive and available for every person, every home, and every organisation. HUAWEI CONNECT 2018 – "Activate Intelligence" – is held at the Shanghai World Expo Exhibition and Convention Centre and Expo Centre from October 10 to 12. This year’s HUAWEI CONNECT conference is designed to help all businesses and organisations step over the threshold and stake their claim in the intelligent world. You will be joined by the best minds in the industry – including global ICT leaders, industry experts, and ecosystem partners – to chart the way forward and explore new opportunities.